The Picture-in-Picture mode is a feature that opens a video from web pages as a floating overlay. The video overlay is resizable and can be moved to anywhere on the computer screen. This mode comes handy when you have to do some tasks but could also watch a video simultaneously. 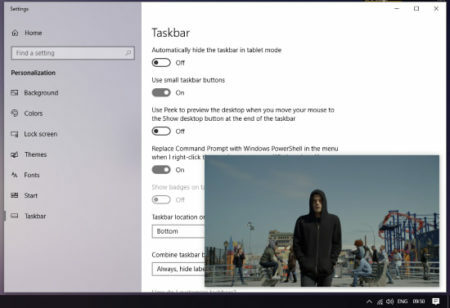 By playing the video in picture-in-picture mode, you can do the tasks that don’t require much focus. You can move the floating video layout around to as per your work environment and watch songs, TV shows, movies, YouTube videos, etc. while working. Amazon Prime Video is an online video streaming service that features a decent amount of content which you can watch online on its website. It has various popular TV shows, movies, and more including Prime Video exclusive content. 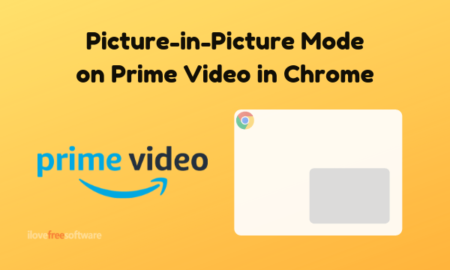 This article covers 5 free Chrome extensions that let you use the picture-in-picture mode on Amazon Prime Video. With these extensions, you can pop open any video from Prime Video in a floating window and watch it while doing other tasks. 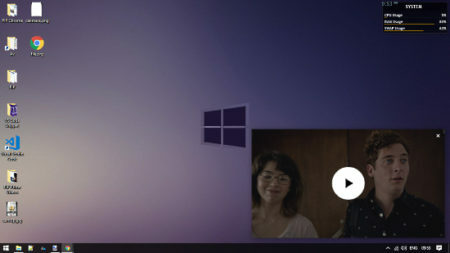 The floating window gives you the option to pause/play the video and you can seek the video forward/backward using the controls from the original Chrome tab. The floating window relies on the original Chrome tab; in order to keep the floating window active, you have to keep the original tab open. 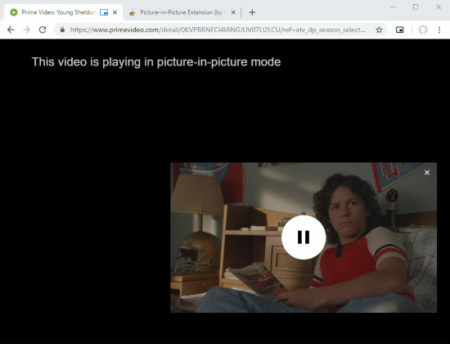 Picture-in-Picture Extension is a free extension for Google Chrome that lets you use the picture-in-picture mode on Prime Video and other video platforms. This extension is offered by the GoggleChromeLabs. You can install it from the Chrome Web Store and use it to watch content from Amazon Prime Video in a floating screen. To enable the picture-in-picture mode, you have to click this extension from the menubar. Once you do that, it opens the currently playing video from the active tab in a popup window. You can do the same by simply press the Alt + P (⌥ + P on macOS). Get this extension from here. Picture-in-Picture is another free Chrome extension that you can use to open the Amazon Prime Video content in a floating window. When you install this extension in your Google Chrome browser, it adds a button to the menubar of the browser. From there, you can simply tap it to open the currently playing video in the picture-in-picture mode. Add Picture-in-Picture mode for Amazon Prime Video from here. The next extension that lets you use the picture-in-picture mode on Amazon Prime Video is PiPPY. Similar to all the other extension, it also adds a button to the menubar of the Google Chrome web browser. By tapping that button, you can open the video from the active tab in a popup floating window. The mini window is draggable; you can place that anywhere on your screen and resize accordingly. Picture in Picture for YouTube & other is a free extension for Google Chrome that is designed to allow users to enable the picture-in-picture mode on YouTube and other video platforms. This extension works well with Amazon Prime Video. You can install and use it to play the Amazon Prime Video content in a small window which can be dragged around the screen and watch stuff while working. Add this free picture-in-picture extension for Prime Video from here. 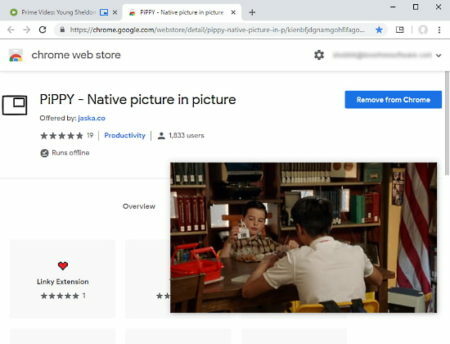 Last but not the least, CIP – Picture In Picture Player is another free Chrome extension to use the picture-in-picture mode on Amazon Prime Video. Like all the extensions on this list, you can get it from the Chrome Web Store. This extension adds a button to the menubar of the Chrome to quickly open the currently playing video in the picture-in-picture mode. Get CIP extension for Chrome here. With these extensions, you can use the PIP mode on Amazon Prime Video. Having the video playing in a mini window gives you a decent workspace to do other tasks.